A combination of cold temperatures, flooding and lack of sunlight has been ruining crops across key agriculture areas in southern Europe. The heaviest rain in 30 years has flooded the Murcia region of southeast Spain and severe cold and snow in central Italy have nearly wiped out vegetables such as lettuce, tomatoes, broccoli, peppers, eggplants and zucchinis. The shortages have significantly increased food prices across northern Europe as suppliers scramble to meet demand. Measurable snow has also blanketed the coast of the Mediterranean Sea for the first time since the early 1980s. The cold snap has claimed more than 65 lives across Europe this month. 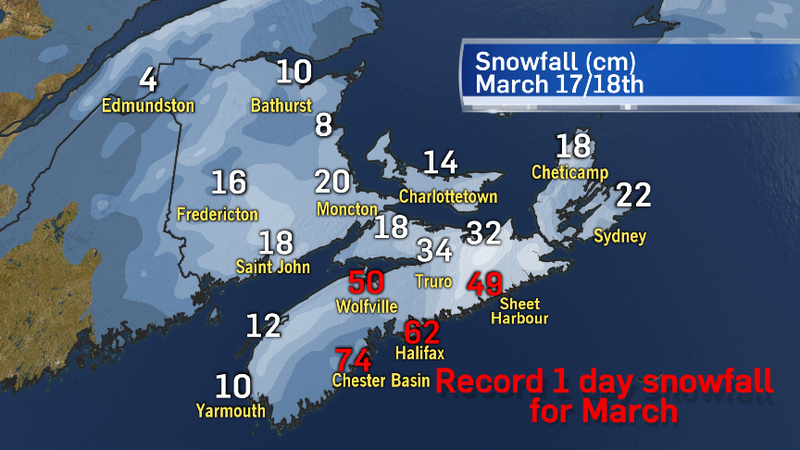 Barely two days after a blizzard, yet another snowstorm is slamming the Maritimes. Environment Canada says mainland Nova Scotia has been the hardest hit this time with up to 75 cm along the South Shore – a one day March record. In Southeast New Brunswick, strong, gusty winds prompted a blowing snow advisory for Greater Moncton along with another 20 cm snow. 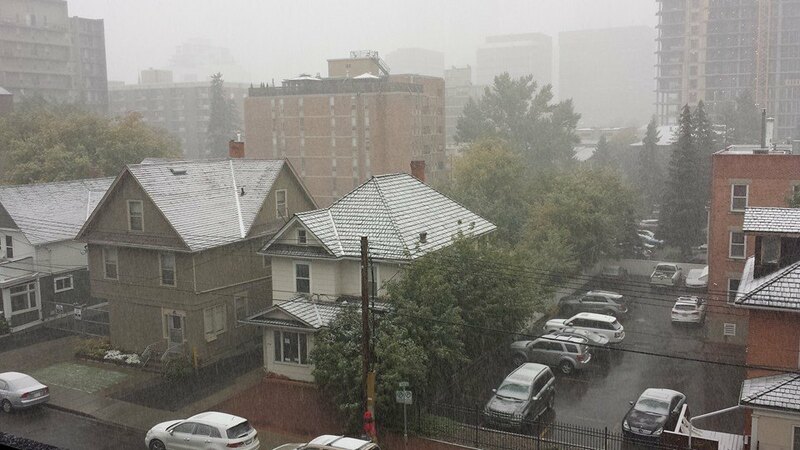 Yesterday in Calgary it was sunny and 26 C.
Less than 24 hours later, it was snowing and below freezing. At least 5 cm of snow fell over parts of the city creating traffic headaches as drivers adjusted to the icy road conditions. But the long term forecast is calling for a return to warmer weather by late week. 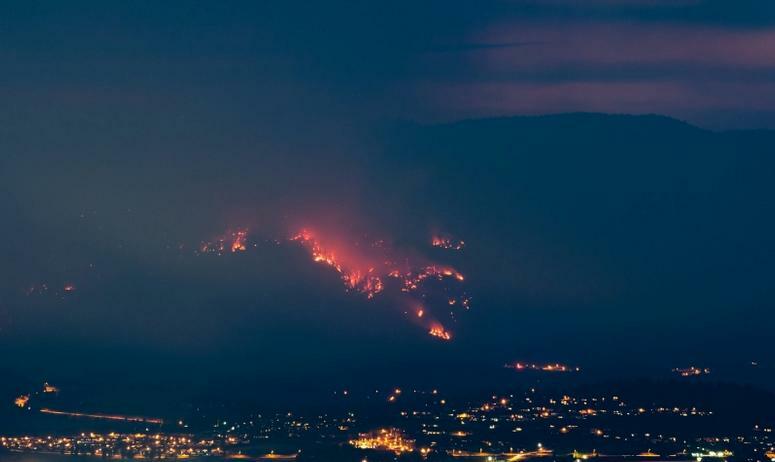 The so-called Smith Creek wildfire is roughly half contained according to British Columbia fire officials and thousands have been allowed to return to their homes in West Kelowna. About 300 residents remain evacuated since their homes are deemed to be closest to the fire. The Smith Creek wildfire is roughly 260 hectares in size and officials say blazes inside the perimeter will keep burning and will be visible for several weeks. Forecasters say recent wet weather will end and hot, dry conditions are expected to return later this week. This was a day to pay respects to three fallen Codiac RCMP officers in Greater Moncton. A regimental funeral was held at the Moncton Coliseum this afternoon to accommodate the approximately 7,000 law enforcement officers who arrived in the city along with dignitaries such as Prime Minister Stephen Harper. At least 11 other remote sites were set up in the city to allow the general public to view the funeral. The ceremony was truly moving and is allowing the community to heal after a horrible tragedy. 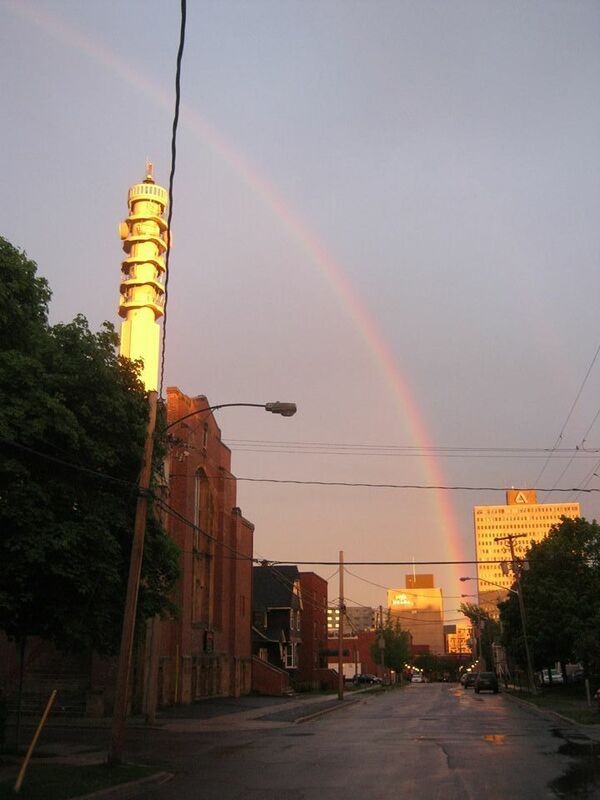 This evening, a rainbow appeared over the city – a beautiful sight to cap a sombre day. 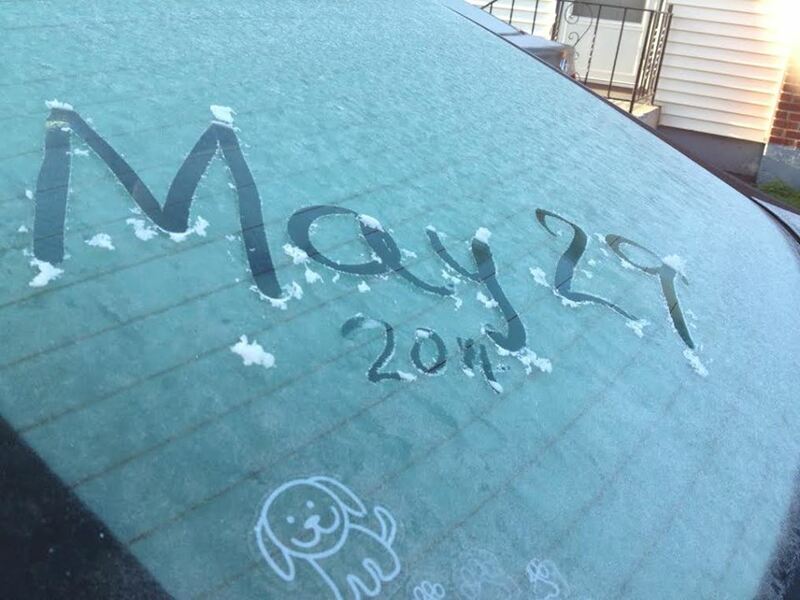 We just can’t seem to catch a warm break in New Brunswick this spring – some have even dubbed this month as Mayvember given that May has often felt like a typical November. Heavy frost covered the province this morning as temperatures dipped below freezing in many areas. Environment Canada reports Greater Moncton set a new record low today of -1.4 C beating the previous low of -1.1 C from 1974. Saint John also set a new low of -2.3 C which was colder than the old record of -1.0 C from 2000.